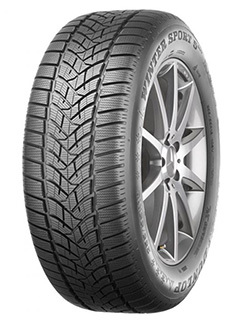 Thanks to innovative v-shaped grooves in the tyre tread, the WinterSport 5 SUV can evacuate large quantities of water and slush from the tyre in order to provide optimal resistance against aquaplaning. This results in high levels of safety in difficult winter weather conditions. The WinterSport 5 SUV provides excellent gripping capabilities thanks to a specialist silica-plus compound that retains rigidity in cold weather. In addition, a flatter tread profile enables greater rubber-to-road contact for greater road stability and superior dry grip. Optimised to deliver a superior performance in difficult winter weather conditions including snow, the WinterSport 5 SUV achieves high levels of safety you can rely on.